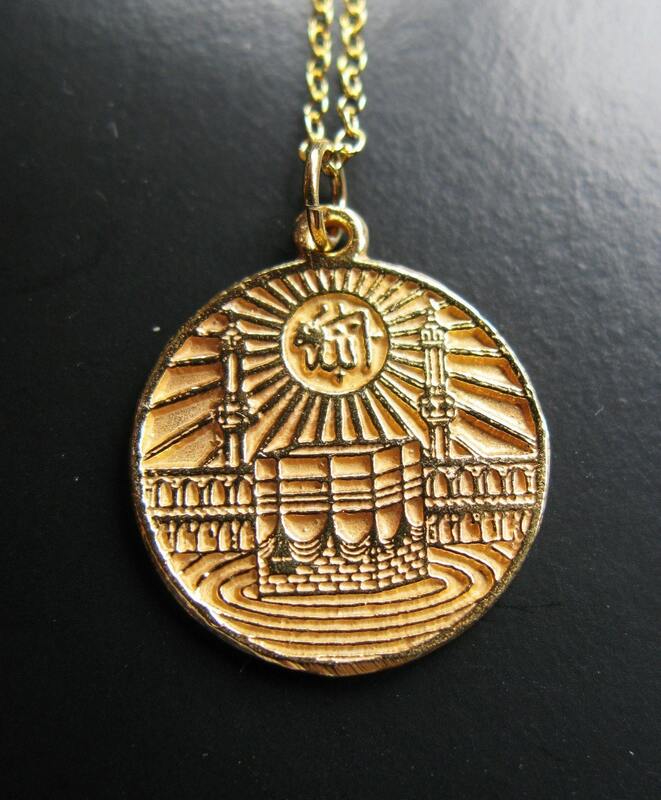 Gorgeous 24K Gold Vermeil (over sterling silver) Pendant complete with chain ending in a round clasp closure. 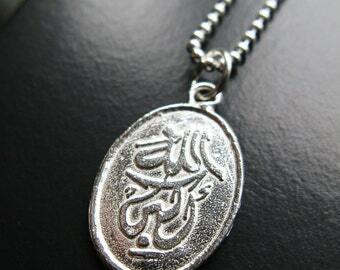 This unique pendant features the Kaaba, with the sun overhead, inside which is the word Allah (God) all Embossed onto a thick, 1" tall circle coin pendant. 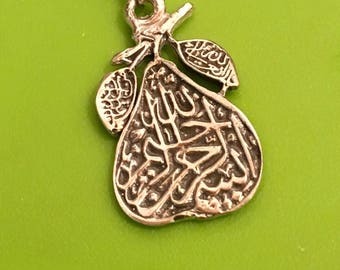 This is a lovely necklace and is also available in Sterling Silver and Solid Gold options in our other listings.